A fast-growing Yorkshire law firm has completed a deal which takes it to more than 70 staff and a £3.7m turnover. Newtons Solicitors Group, founded by husband-and-wife directors, Chris and Sarah Newton in 2009, has opened its ninth office across three counties with the acquisition of long-established Stokesley solicitors, Thorp Parker LLP. 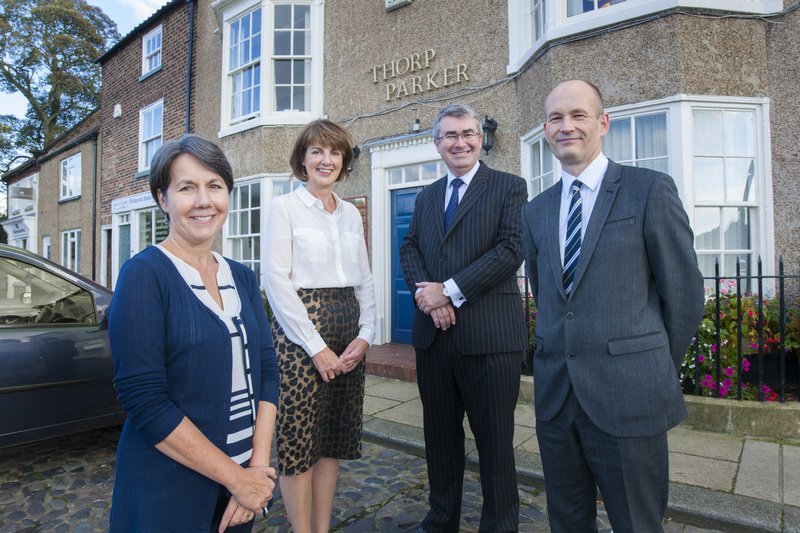 The acquisition, negotiated with Thorp Parker principals, Richard Parker and Paula Warburton, will see the Stokesley practice become Thorp Parker Newtons and continue to operate from its premises at Martin House in Stokesley High Street. Thorp Parker, which opened in 1978 and has a £700,000 turnover, currently offers commercial and company law, property law, trusts, wills and probate, through a team of four solicitors, which also includes Bernadette Sullivan and Martin Donnelly. Following the acquisition, Richard Parker and Paula Warburton are joined by Christopher Newton as a new LLP Member at Thorp Parker Newtons and the practice will start to offer additional services, including litigation and family law, through the wider Newtons Solicitors group. Newtons Solicitors managing director, Chris Newton, says: “I’m very pleased to have the Thorp Parker team as part of our group given the real benefits we both offer each other. The acquisition means that Newtons Solicitors Group now has more than 70 staff, including 15 LLP members and directors and 44 lawyers at offices in Knaresborough, Harrogate, Ripon, York, Leyburn, Richmond, Darlington, Stokesley and Ilkley across North Yorkshire, Durham and West Yorkshire. Issued for Newtons Solicitors by Mike Clarke Communications Ltd. Press contact: Mike Clarke, tel: 01423-501663.